Sonia Chase began playing basketball at the age of seven in an all boys league. Eventually, she started to play for a local neighborhood basketball organization called The Liberty Road Girls Basketball Team. She continued to play basketball in numerous leagues throughout the year including Baltimore Neighborhood Basketball League (BNBL) and Amateur Athletic Union (AAU). While growing up, Sonia attended many basketball camps such as Womens Basketball Coaches Association (WBCA), Blue Star, NIKE, Blue Chip and Chris Wellers University of Maryland Womens Basketball Camp. Sonia attended McDonogh School, in Owings Mills, Maryland and became a four-year Varsity starter and two-time captain in high school. She was the first female athlete in school history to score over 3,000 points and also set records that currently still stand today for scoring, assists, rebounds and steals. As a senior in high school, Sonia was selected as a Rollins-Leuktemeyer Scholar, honoring her as an all-around outstanding student-athlete. In 1994, Sonia was awarded a four-year athletic scholarship to play for the University of Maryland at College Park. She graduated in December 1998 with a Bachelor of Arts degree in English Language and Literature and earned a certificate of academic honor in Womens Studies and Health. On April 29, 1998, Sonia was drafted to the Womens National Basketball Association (WNBA) where she ventured to Charlotte, North Carolina to play for the Charlotte Sting. In the WNBA off-season, she went abroad to play professional basketball in Greece, Turkey and China. In 2000, she led the Greek Federation League in scoring, assists, rebounds and steals. In 2005, Sonia was drafted to the National Womens Basketball League (NWBL) to play for the Birmingham Power where she led the league in steals averaged per game and was ultimately selected as a 2005 NWBL All-Star. This same year was also very special because she was inducted into McDonoghs Athletic Hall of Fame. In June 2001, Sonia decided to embark upon the entrepreneurial side of life and start her own business called CHASE YOUR DREAMS INCORPORATED. Her companys mission is to bring inspiration, empowerment and innovation to every individual and business while enabling them to realize their full potential. 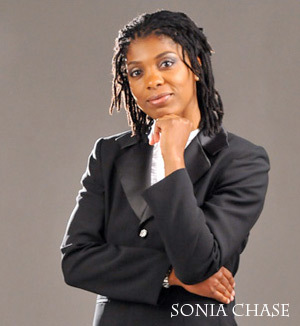 In September 2009, Sonia developed a non-profit organization called CHASE YOUR DREAMS ACADEMY whose mission is to promote the advancement of all youth in education, sports, health, fitness and nutrition. 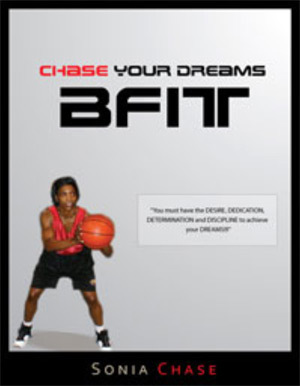 To accent her athletic achievement as a professional basketball player, Sonia created CHASE YOUR DREAMS: BFIT an instructional handbook used to help student-athletes develop and maintain a healthy diet, physical fitness, basketball skills and promote the advancement of all youth in sports. Sonia now dedicates her life to serving various youth and corporate organizations throughout the world. To book Sonia Chase, please contact Lisa Darden at lisa@huptalentandbooking.com or call 240-446-1554.